For this weeks, Mommy's Mani Monday, the theme was favorite sport or hobby. The only sport I follow is University of Kentucky Basketball, not because I like it, because I can't escape it. It is on everywhere. So, I decided to go with my hobby, can you guess what it is? Yup, painting my nails. 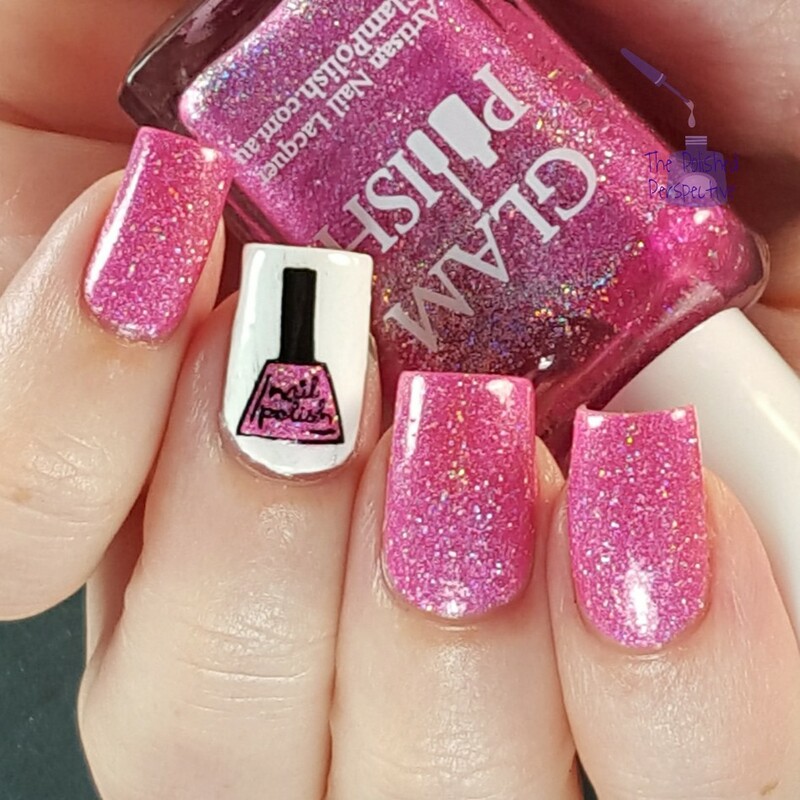 I used Glam Polish Pow for the pink glitter. The base of my accent is OPI Non Stop White with a decal I made using Pueen Cosmetics plate from the Make Your Day Collection and M Polishes Cayuga. Links are provided for products used. OPI Infinite Shine Non Stop White can be purchased at Shop Beauty Brands! Oh my gosh that is adorable!! Great job on that decal and I love that Glam Polish! Do They Marble Like a Dream? Welcome to the second part of my review and comparisons of the Zoya Urban Grunge Collection! Sign Up for Email Updates from The Polished Perspective! Sign up with your email address to receive The Polished Perspetive updates to your inbox!